Even in the UK and Germany, the markets with the brightest future, STL Partners forecasts a respective 19% and 20% decline in mobile core services (voice, messaging and data) revenues by 2020. The UK has less far to fall simply because the market has already contracted over the last 2-3 years whereas the German market has continued to grow. We forecast a decline of 34% in France over the same period. In Italy and, in particular, Spain we forecast a brutal decline of 47% and 61% respectively. Overall, STL Partners anticipates a reduction of 36% or €30 billion in core mobile service revenues by 2020. This equates to around €50 billion for Europe as a whole. The writedown is of course non-cash, and those of us who remember Chris Gent’s Vodafone will be familiar with the sensation. But the reasons for it could not be more real. 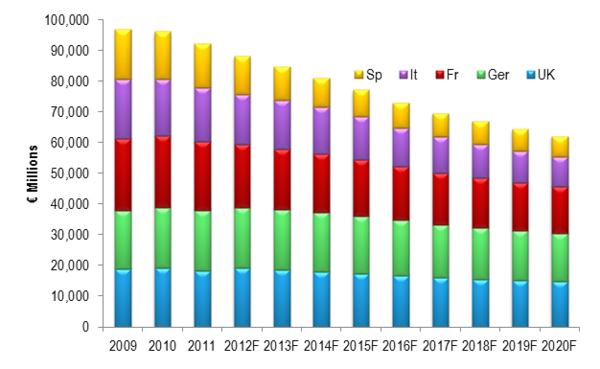 Service revenue has fallen sickeningly, down 7.9% across Europe, 1.4% across the group. Vodafone has enjoyed a decent performance from the company’s assets in Africa, Asia, Turkey, and the Pacific, and a hefty dividend from Verizon Wireless. It is the performance in Europe which is dreadful and the situation in southern Europe especially bad. For while service revenue in Gernany was up 1.8%, it was down a staggering 12.8% in both Spain and Italy. And margins were sacrificed for volume; EBITDA was down 16.6% in Italy, and 13.8% in “Other Southern Europe”, that is to say mostly Greece and Portugal. Even the UK saw service revenues fall -2.1%, while the Netherlands was down -1.9%. 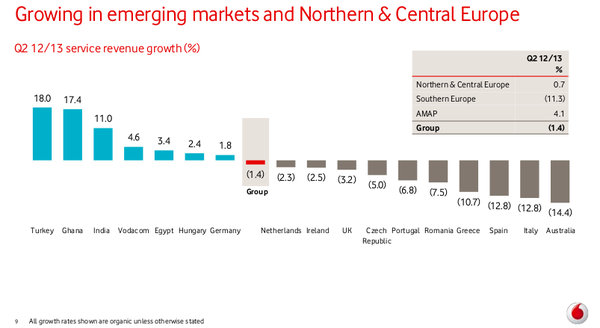 Vodafone’s investments across Europe seem to have landed in an arc of austerity running from the Norwegian Sea to the Aegean, the long way around. 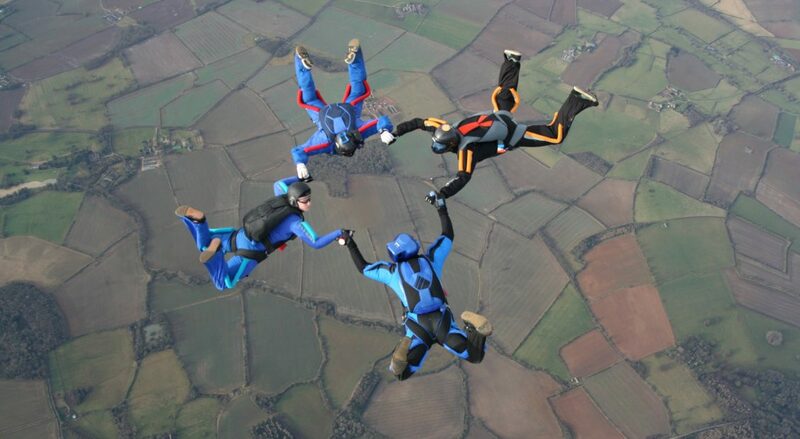 Vodafone’s enterprise line of business has helped the Italian division defy gravity for a while. 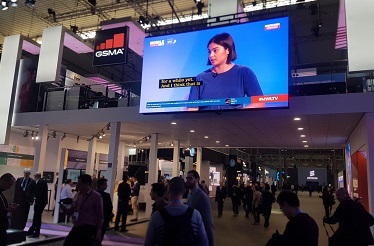 Until recently, OneNet was racking up the same 6% growth rates in Italy that it saw in Germany and contributing substantially to service revenue, even though the wider business was shrinking. In Q2, service revenue in Italy was down 4.1% but enterprise was up 5.8%. But strategy inevitably beats tactics. Tellingly, the half-year statement from Vodafone management went a little coy about enterprise’s performance. Numbers are only given for Germany and Turkey, and for group-wide One Net seats. They are good, but you wonder about the numbers that aren’t given. We are told that One Net is “performing well” in Italy, but that’s not a number. Meanwhile, Telefonica saw its European revenues fall 6.4% year-on-year. The problem is in Spain, where the plummet was 12.9%. Mobile was worse still, with revenues thumped downwards by 16.2%. The damage, for both carriers, is concentrated in mobility, in southern Europe, and in voice and messaging. Telefonica blames termination rate cuts (as does Vodafone – both carriers are big enough that they tend to terminate more calls from other carriers than they pay out on), but this isn’t really going to wash. As Vodafone’s own statement makes clear, MTRs are coming down everywhere. And Telefonica’s wireline revenues were horrible, too, down 9.6%. 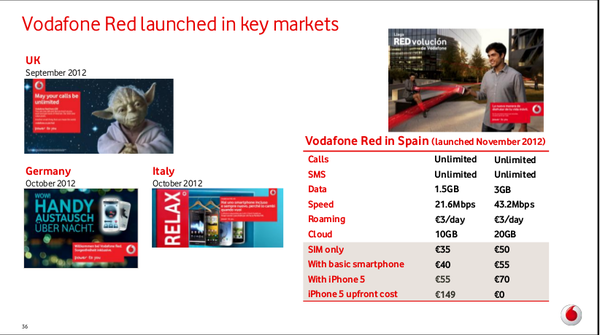 But the biggest hit to revenue for Vodafone was in messaging, and then in voice. Data revenue is growing. In the half to 30th September 2011, Vodafone.es subscribers generated £156 million in messaging revenues. In the corresponding half this year, it was £99 million. Part of this is accounted for by movement in the euro-sterling exchange rate, so Vodafone reports it as a 30% hit to messaging and a 20% hit to voice. Italy saw an 11.4% hit to messaging and a 16% hit to voice. The upshot to Vodafone is a 29.7% cut to the division’s operating profits. Brutal indeed. Obviously, a lot of this is being driven by the European economic crisis. It is more than telling that Vodafone’s German and Turkish operations are powering ahead, while it’s not just the Mediterranean economies under the European Union’s “troika” management (EC, ECB and IMF) that are suffering. The UK, under its own voluntary austerity plan, was down 2.1% for Telefonica, and the Netherlands, having gone from being the keenest pupil in the class to another austerity case in the space of one unexpectedly bad budget, is off 1.9%. Even if you file Turkey under “emerging market”, the comparison between the Mediterranean disaster area, the OK-ish position in North-Western Europe, and the impressive (£2.4bn) dividend from Verizon Wireless in the States is compelling. But disruption is a fact. We should not expect that things will snap back as soon as the macro-economy takes a turn for the better. One of the reasons for our grim prediction was that as well as weak economies, the Southern European markets exhibited surprisingly high prices for mobile service. The impact of the crisis is likely to permanently reset customer behaviour, technology adoption, and price expectations. The Southern price premium is likely to be permanently eroded, whether by price war or by regulatory action. Customers are observably changing their behaviour in order to counter-optimise the carriers’ tariff plans. Vodafone observes plummeting messaging revenues, poor voice revenues, and heavy customer retention spending, specifically on handset subsidies for smartphones. In fact, Vodafone admits that it has tried to phase out subsidy in Spain and been forced to turn back. This suggests that customers are becoming very much more aware of the high margin on SMS, are rationing it, and are deliberately pressing for any kind of smartphone in order to make use of alternatives to SMS. Once they are hooked on WhatsApp, they are unlikely to go back to carrier messaging if the economy looks up. Another customer optimisation Vodafone encounters is that the customers love their integrated fixed/mobile plan. Unfortunately, this may mean they are shifting data traffic off the cellular network in the home-zone and onto WLAN. Further, as Vodafone is a DSL unbundler, the margin consequences of moving revenue this way may not be so great. In Italy, although the integrated tariffs sold well, a “fall in the non-ULL customer base” is blamed for a 5.6% drop in fixed service revenue. Are the customers fleeing the reseller lines because Vodafone can’t match TI or Fastweb’s pricing, or is it that the regulatory position means margins on unbundled lines are worse? Vodafone’s response to all this is its RED tariff plan. This essentially represents a Telco 2.0 Happy Pipe strategy, providing unlimited voice and messaging in order to slow down the adoption of alternative communications, and setting data bundles at levels intended to be above the expected monthly usage, so the subscribers feel able to use them, but not far enough above it that the bandwidth-hog psychology takes hold. With regard to devices, RED offers three options with tiered pricing: SIM only, basic smartphone, and iPhone. The idea is to make the subsidy costs more evident to the customer, to slow up the replacement cycle on flagship smartphones via SIM-only, and to channel the smartphone hunters into the cheaper devices. Overall, the point is to drive data and smartphone adoption down the diffusion curve, so as to help the transition from a metered voice-centric to a data-centric business model. The reason why the whole industry is on a difficult trend…is because we historically voice priced really high and data priced really low. Vodafone’s competitors face a serious challenge. They are typically still very dependent on prepaid voice minutes, a market which is suffering. Even in Northern Europe, it’s off 10%. Telcos loved PAYG because everything in it is incremental. Now, the challenge is how to create a RED-like tariff for the PAYG market. Those in North and South America, MENA and Asia-Pacific may be looking at Europe and breathing a sigh of relief. But don’t fool yourself. SMS revenues in the US are down for the first time driven by volume and price declines. One rather worrying outcome of last week’s Digital Arabia event was that operators in the region seem to be under the impression that the decline for them is still several years out and destined to be a relatively gentle softening of the market. There’s more here on our initial take on what they need to do to avoid complacency and start to build new business models more quickly.